OHA+M (Ontario Heritage Act and more): Welcome to my new blog! And the OHA at 40! To launch my new heritage blog, here is a version of an article I've written for the upcoming (Spring 2015) issue of ACORN, the journal of Architectural Conservancy Ontario. This year sees two significant anniversaries for Ontario’s heritage legislation: the passage of the Ontario Heritage Act in 1975 and the passage of Bill 60, the overhaul of the Act in 2005. 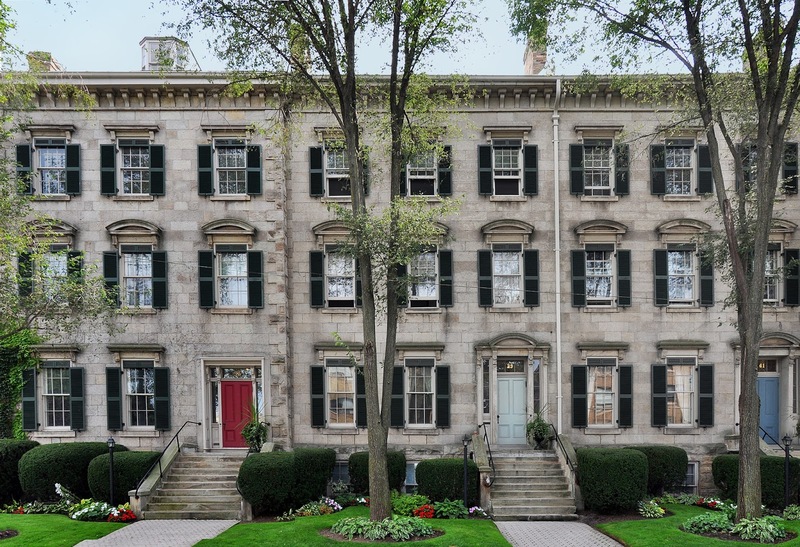 In the summer of 1975, Sandyford Place, a superb stone terrace in Hamilton, was the first property to be designated under the new Act. Introduced by the Davis government late in 1974, the OHA was passed on February 3 and given Royal Assent three days later. In an unusual move, the new statute was proclaimed into force a month later by Lieutenant Governor Pauline McGibbon in Memorial Hall in Kingston’s city hall. This was apparently the first time that the proclamation of a new statute had taken place outside Toronto. Why Kingston? In the late 1960s and early 1970s Kingston had led the way in pioneering regulatory approaches to protecting our architectural heritage. Private bills giving Kingston, Toronto, London and Ottawa designation powers were enacted. Finally in 1974, the province responded with legislation enabling all local municipalities to designate properties of architectural and historic importance. Part VI, containing the archaeology provisions, from the old Archaeological and Historic Sites Act of 1953. Part V, introducing powers to designate heritage conservation districts, was new. (The story goes that it was originally to have gone into the Planning Act!) So was Part III, which set up the Conservation Review Board to hear objections to designations. One thing absent from the Act was the ability of the province itself to designate buildings. While these powers made it as far as the drafting stage, they were absent from the legislation, apparently because of concerns by government caucus members that this would interfere with local autonomy. Provincial designation and stop-order powers (except for archaeological sites) would make it into the Act 30 years later with the 2005 amendments. Another thing missing was clear power to designate Crown property. Presumably lawmakers were concerned about municipalities (then, as today, considered “creatures of the province”) imposing controls on government-owned assets. This problem too was addressed in 2005, when powers aimed at protecting Crown property were added to the Act, and fixed at last in 2010 when mandatory standards and guidelines for the conservation of provincial heritage property were approved by Cabinet. But the biggest shortcoming of the 1975 statute was the lack of “teeth.” From the start the Act was criticized as weak, giving municipalities the power to delay demolition of heritage buildings for 180 days but not to stop it. 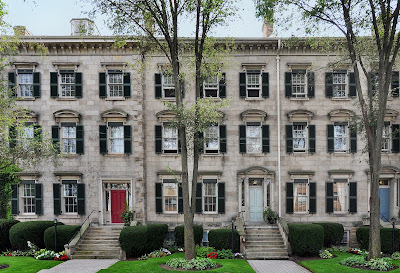 It can be argued that a policy providing new, modest regulatory powers to hundreds of diverse municipalities served the evolution of heritage conservation in Ontario better than a “big stick” approach, which, at least at the early stage, would have frightened off most communities. But as time went on, the clamour for stronger legislation increased. Leading the charge were Toronto and some other municipalities, and provincial heritage organizations, especially the Ontario Historical Society and the Architectural Conservancy of Ontario. In 1987 the province announced the Ontario Heritage Policy Review to study the state of heritage in Ontario, including the Ontario Heritage Act. After a mammoth public consultation process, unprecedented to this day, a new framework and strategy were released in 1990: A Strategy for Conserving Ontario’s Heritage. At the same time detailed proposals for OHA changes were put forward for comment, with promises of a bill to follow. But later that year the Liberal government lost the election and the NDP came to power. The new government, sympathetic but mistrustful of its predecessor’s effort, created a minister’s advisory committee — a large and, as it proved, unwieldy group of “stakeholders” — to develop new heritage legislation. After several more years and a lot of wheel-spinning, wide-sweeping (and some would say overly ambitious) legislation was eventually drafted. But, like the previous government’s initiative, it too did not go forward before the government changed again in 1995. Meanwhile history was repeating itself — municipalities, frustrated with provincial dithering, were taking matters into their own hands. Similar to the early ‘70s, special legislation was introduced, first for Toronto, then in quick succession for some 12 others, giving them greater demolition controls: to combat the “put up a parking lot” problem, permission to demolish designated buildings could be withheld until such time as a permit to construct a replacement building had been obtained. The new Progressive Conservative government had no interest in grandiose plans for the OHA, but it did eventually make a number of important amendments in 2002. One of the most important (if relatively short-lived) changes was extending the replacement building policy to all municipalities. The last PC Minister of Culture, David Tsubouchi, considered this a “band-aid” approach and began another, speedy-quick consultation on the Act. However, despite the minister’s efforts, the bill introduced in the last days of the government in 2003 made no further changes to demolition controls. It died when the election was called. Three governments, three strikeouts! A sick joke about “Kill Bill”, a movie by Quentin Tarantino released that fall, circulated at the ministry. It was left to the new Liberal government elected in fall 2003 and the new Minister of Culture, Madeleine Meilleur, to finally bring fundamental reform to the OHA. They lost little time. Bill 60, which included permanent demolition control and a host of other changes, was introduced in March 2004. A year later, delayed by a fierce eleventh hour assault by certain faith groups intent on diluting the legislation — and thanks to strong lobbying by ACO and others — the new Act was passed and given Royal Assent on April 28, 2005. Congratulations on the launch of your blog. I look forward to reading what you and you contributors will have to relate.